A makeshift memorial to Hispanic Civil War Union soldiers who fought in the Battle of Glorieta Pass is in northern New Mexico outside of Santa Fe. It’s a typical representation of many sites linked to U.S. Latino history: It’s at risk of disappearing if it weren’t for a handful of history aficionados. 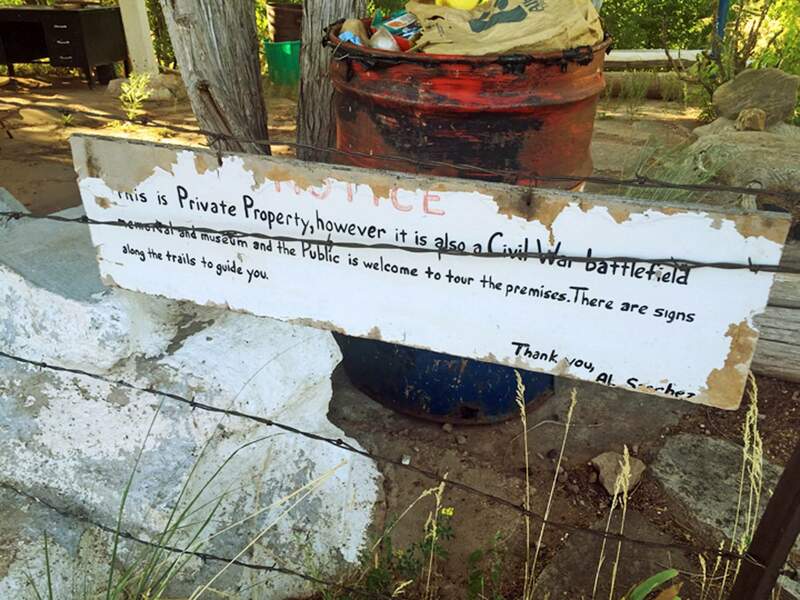 A sign at a makeshift memorial to Hispanic Civil War Union soldiers who fought in the Battle of Glorieta Pass outside Santa Fe. The lack of historical markers and preserved historical sites connected to Latino civil rights worries scholars who feel the scarcity is affecting how Americans see Hispanics in U.S. history. 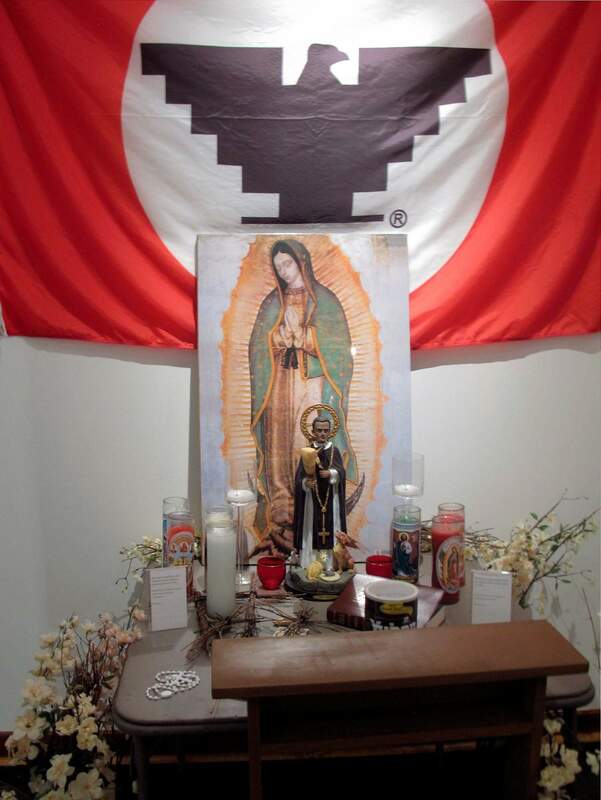 The United Farm Workers of America flag and the Virgin of Guadalupe statue are part of an exhibit in the visitor center at La Paz, now the Cesar E. Chávez National Monument, the property that served as the home and planning center of Chicano leader Cesar Chavez and his farmworker movement starting in the 1970s in Keene, Calif. Meanwhile, the site of his birthplace sits abandoned in Yuma, Ariz. 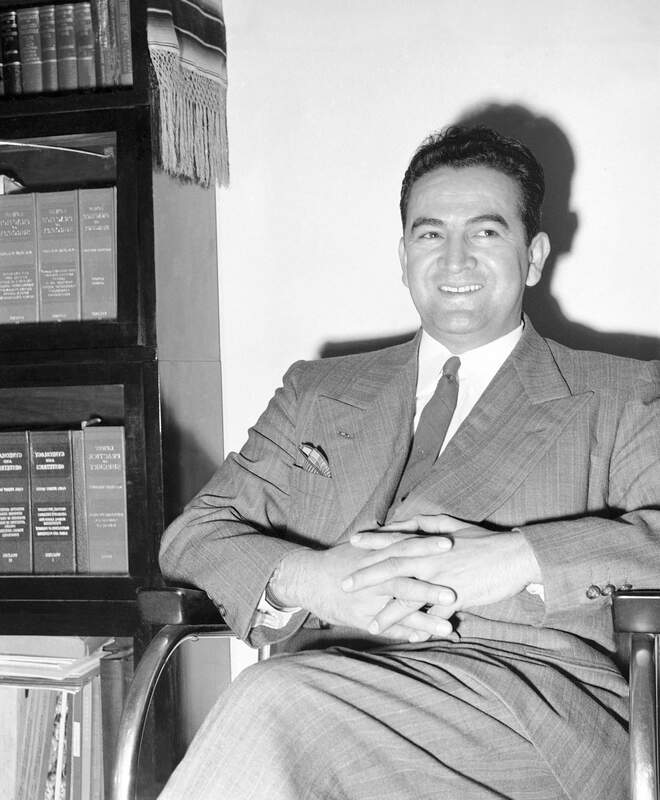 Physician and surgeon Dr. Hector Perez Garcia, whose goal was to fight for a better deal for U.S. Latin American citizens, in Corpus Christi, Texas. The office of 4, where the Mexican American civil rights movement was sparked, is gone and is an example that many Latino historical preservation advocates say shows more needs to be done to save sites linked to Latino history. 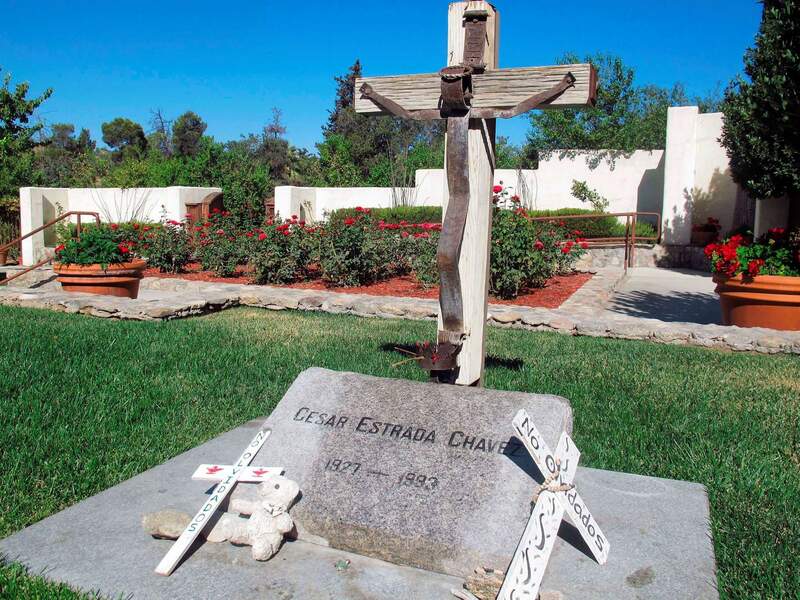 The grave of Chicano farmworker leader Cesar Chavez in the memorial garden at La Paz, the United Farm Workers of America headquarters, now the Cesar E. Chávez National Monument, in Keene, Calif. Meanwhile, the site of his birthplace sits abandoned in Yuma, Ariz,. The lack of historical markers and preserved historical sites connected to Latino civil rights worries scholars who feel the scarcity is affecting how Americans see Hispanics in U.S. history. 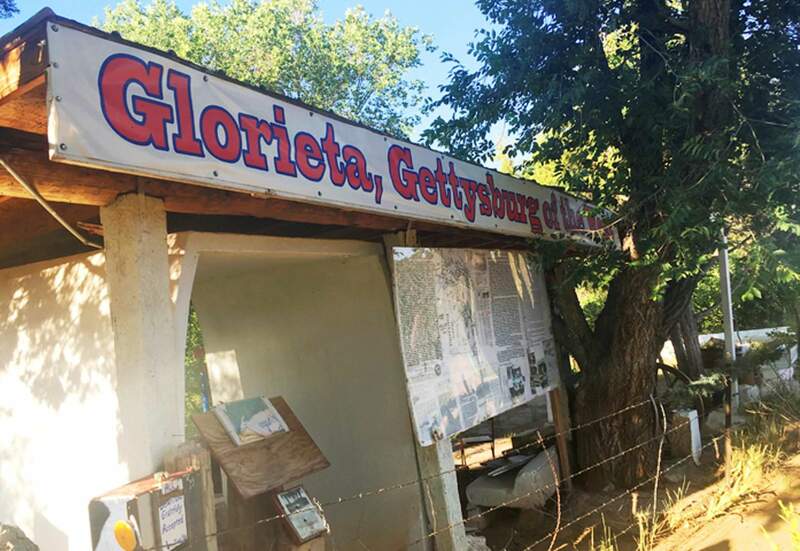 GLORIETA PASS, N.M. – A makeshift memorial to Hispanic Civil War Union soldiers in an isolated part northern New Mexico is a typical representation of sites linked to U.S. Latino history: It’s shabby, largely unknown and at risk of disappearing. Many states have historical markers and sites dedicated to Latino history but they usually center around the Spanish exploration era, colonial times and Old West settlement periods, scholars and advocates say. Those are “safe” sites because they downplay the racism and segregation Latinos had to overcome, said Luis Sandoval, a nonprofit consultant in Yuma who is pushing for the region to honor Chavez’s legacy. As the nation’s Latino population grows, local tourism groups and the National Park Service in recent years have responded. In 2012, the National Park Foundation’s American Latino Heritage Fund launched a campaign to improve the representation of Hispanics in national parks. The National Park Service also convened an “American Latino Scholars Expert Panel” made of members like Rivas-Rodriguez and Yale history professor Stephen J. Pitti. Before leaving office, former U.S. Secretary of the Interior Sally Jewell announced that four Latino national landmarks were among the 24 new National Historic Landmarks. Chicano Park – a collection of murals under a San Diego highway that became a gathering place for activists during the 1970s Chicano Movement – was among them. But Albuquerque, New Mexico-based activist Ralph Arellanes Sr., says much more needs to be done nationwide to save Latino sites. Arellanes also thinks New Mexico should preserve the birthplace of United Farm Worker co-founder Dolores Huerta, who was born in the northern mining town Dawson. The ghost town is surrounded by a gated fence and is not open to the public. Besides money, advocates sometimes have to fight local historical commissions that decide whether markers are erected, said John Moran Gonzalez, director of the Center for Mexican American Studies at the University of Texas. That’s why advocates in recent months have struggled to erect a monument commemorating the 1918 Porvenir Massacre – the killing of 15 unarmed Mexican-Americans in a border village by Texas Rangers. In Austin, Texas, for example, a group of volunteers operates the Austin Tejano Trail aimed at giving visitors guided tours of important churches, homes and plazas linked to the city’s Mexican-American history. Earlier this year, a Houston building where Mexican-American civil rights leaders planned President John Kennedy’s historic visit the night before his assassination has been designated as a National Treasure by the National Trust for Historic Preservation after years of pressure. The LULAC Council 60 clubhouse historical site also received a piece of a $450,000 grant to help with damage caused by Hurricane Harvey last year. Sandoval said these are encouraging developments as activists try to work on commemorating Chavez in his birthplace of Yuma, Arizona, along the U.S.-Mexico border. He said Yuma’s powerful agricultural business interests resist most efforts to honor the late farm worker union leader.